In a game, it has come to light that one player has been spreading false statements that another player has been sending racist and abusive messages in an effort to turn the board against that player. However, in one instance, this player claimed that a third player had also been copied on a message. The third player confirms that no such racist or abusive messages were sent. Does it constitute a violation to be making false accusations of rules violations in private messages (setting aside the fact that any other player is never in a position to confirm or deny such accusations)? I am interested to see what others say. I think that a false accusation is as out of bounds as as the content of the accusation. If I were the recipient of such a message, I like to think I'd have the presence of mind to ask the sender to report the incident to an admin. If the sender did not file a complaint, I would report the incident as a second hand source. Trust breeds trust. 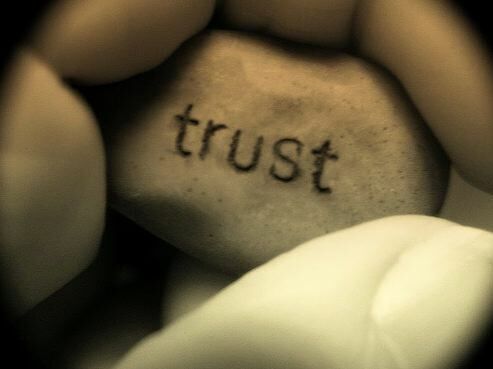 Mistrust breeds mistrust. valent wrote: That's a new one. Actually, I did ask. The sender claimed that he never forwards other people's messages in a somewhat indignant tone. Personally, I can't see the problem in that. There is a huge difference between saying things in the in-game messages and in the public press. Although there are rules covering in-game messages, they are far more tolerant than PP. So spinning false yarns about another player being a racist or whatever is just more misdirection - I suspect almost all Diplomacy players would prefer to trust their own experiences, and if their own interactions with said player were fine they would judge the person spreading the rumour as false! This is a touchy area. I guess the bottom line is that allegations of abuse (in the private messages or public press) should be brought up to the moderators, not the other players in the game. And a player choosing to discredit another with in-game allegations of abuse should also be held accountable to the moderators. Been thinking about this a bit since the previous posts were made. So, let's recap. Diplomacy is a game in which behaviour in-game is often characterised by modes of behaviour that would be considered antisocial in normal society. That is normal in the game of Diplomacy. The essence of the game involves sometimes exhibitng types of behaviour that we would all find unacceptable in normal society. So....is this situation in any way fundamentally different? Well, the two criteria within the site rules that define in-game behaviour to be unacceptable are (1) if there is any attempt to use allegations of cheating to influence a game, and (2) if there is any involvement of cyber-bullyng as defined by the site. Are either of those red lines crossed here? From what has been reported, probably not in the first case. Second case depends on the context. But is there anything intrinsically different about this type of behaviour from the other examples of behaviour normally considered socially unacceptable in normal society that requires a modification to the rules? Let's take in the first instance, the scenario where such behaviour was actually happening. If a plaer really was actng in a racially abusive way then I suspect that will be covered by our cyber-bullyng rules. Unacceptable and reportable. But what of the player that alleges it in a private message? The first thought that comes to mind is, why has the receivng player not reported ths behaviour to the moderators? I would regard a player that makes such allegations without having reported the offending behaviour to the mods highly suspiciously. Are the out of order? If you draw an anlalogy with making a false cheating allegation, without reporting to the mods, in order to try to influence a game, then to me this is a potentially comparable situation - IF the behavious alleged is itself a violation of the site rules. If the behaviour itself is within the site rules, then making false allegations about it is no different from sending a message to a player telling him that another player lied to him or broke his promises.